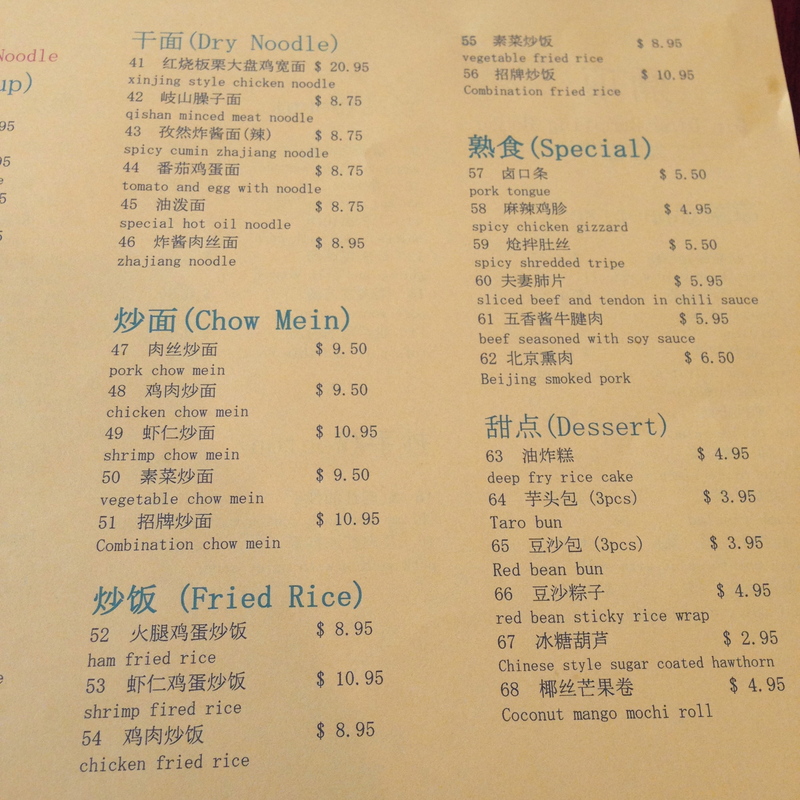 I stopped by Din Ding to check out their dumplings and noodles. The server said they make all their noodles at the restaurant (she said they were homemade as she pantomimed rolling out dough). I ordered the zhajiang noodles and the XLB. 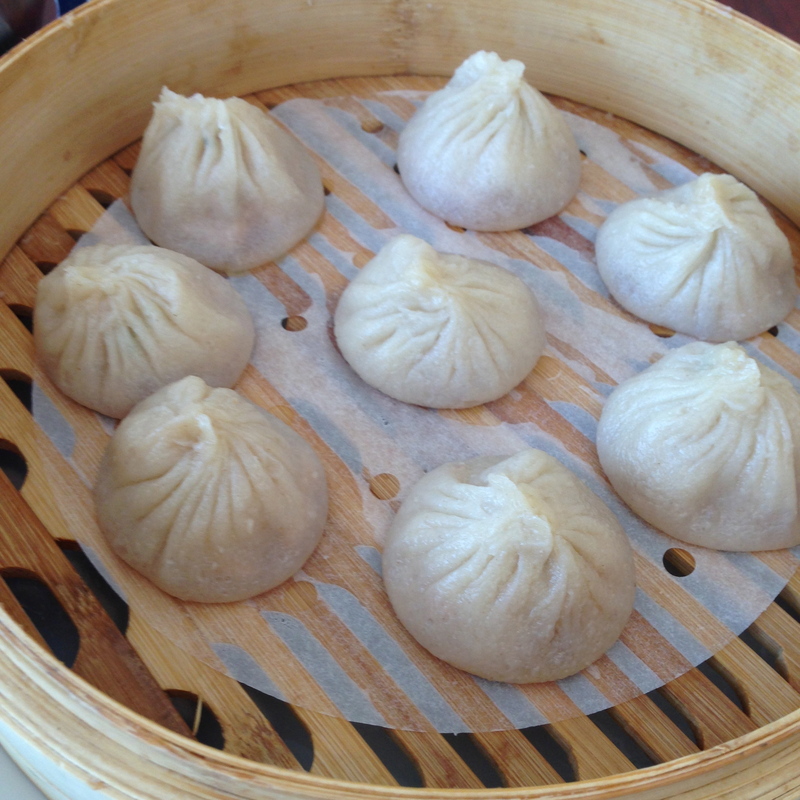 XLB were fine. Soupy, good soft meat consistency, chewy wrappers, but not memorable. The noodles, on the other hand… I’ll be going back to try more of the homemade noodles. They were so springy! The accompanying sauce was fine (large pieces of fatty pork, mild brown bean sauce, wood ear mushrooms and pressed tofu for texture, but the sauce had a lot of cornstarch), but those noodles were worth another trip. I’ll be back to try the spicy cumin zhajiang noodles, which I hope is more interesting than what I ordered, and the tomato egg noodles. 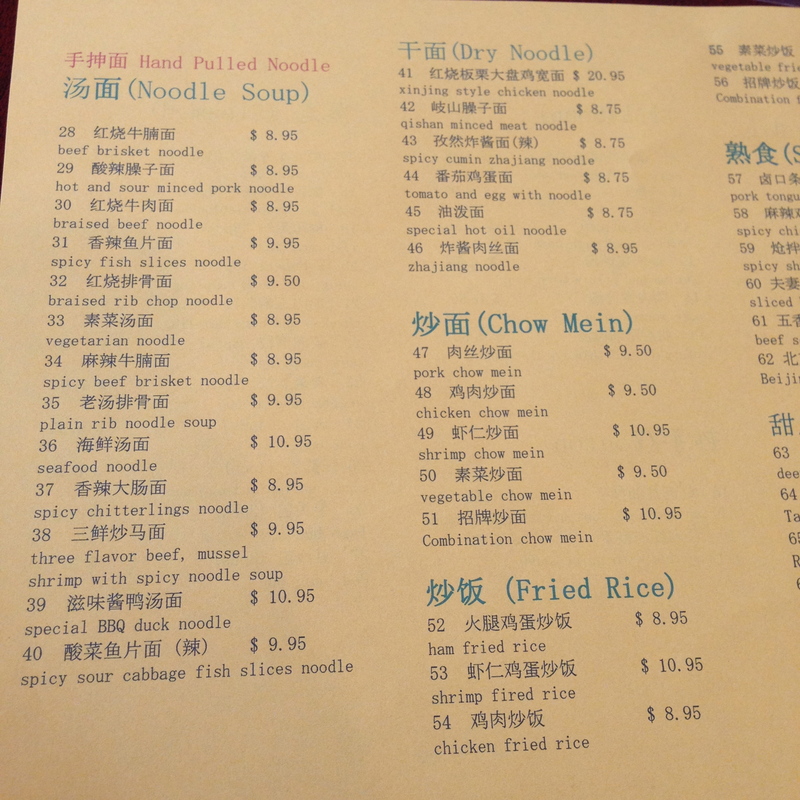 I’ve never heard of the xinjing style chicken noodles, but the price alone makes me curious. I took some hasty pics of the menu and food. Picture fail - I should have shown the noodles after they were mixed because their hidden underneath the cucumbers and sprouts. 2 Days in BA. Where would you eat like a local? -wasn’t given a spoon initially. waitress lack skills working chinese eateries, more experience in japanese ones? 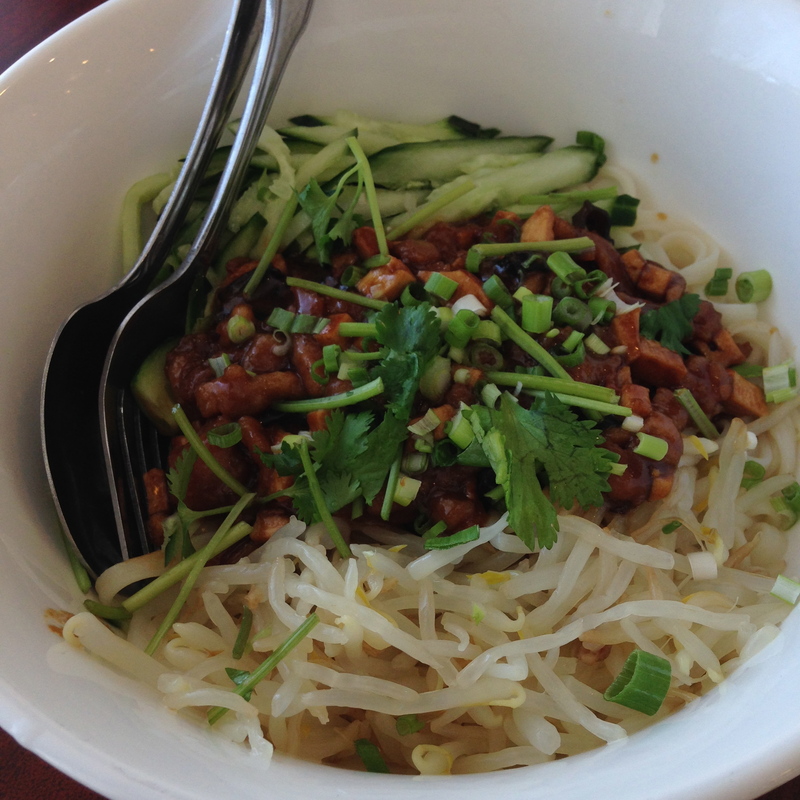 better noodle value in other northern chinese eateries in fremont (shanghai ones). They must have caught on to the spoon criticism because every place setting had a spoon and chopsticks. The noodles were not stiff at all when I went on Monday.